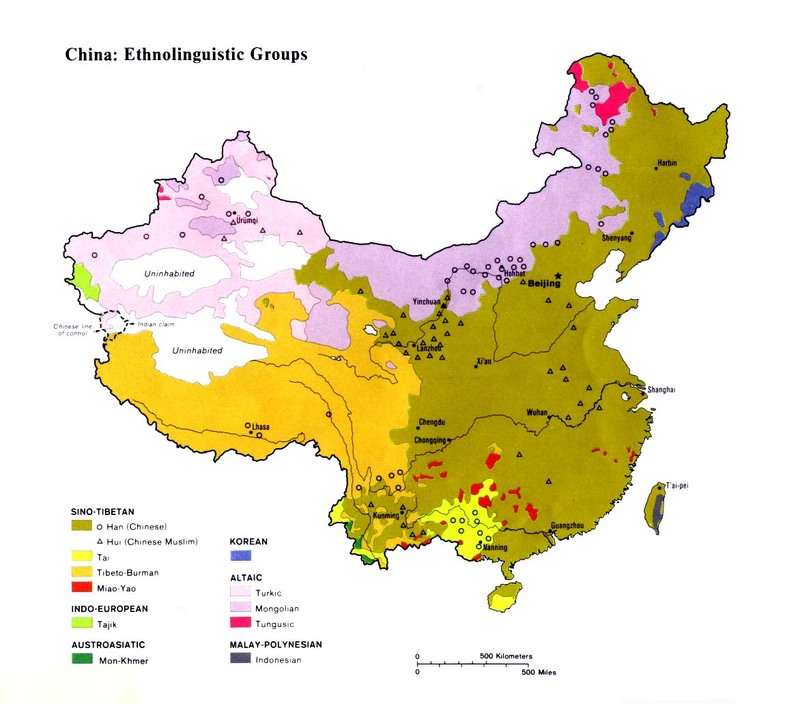 The Mang have been included in a list of Undetermined Minorities by the Chinese authorities. They are known by different names to different peoples in the area. The Dai call them Chaman; the Hani know them as Manbu; and the Kucong call them Ba'e. Mang is the self-name of this group. The Mang say they do not know where they come from. They have no special celebrations and do not even observe the popular Chinese Spring Festival. Despising themselves and feeling no self-worth, the Mang told one visitor, "We have no reason to live except to survive." The Mang live in simple bamboo houses on stilts. They have no electricity and no schools. On the roofs of their houses are fixed two carvings of dragons - common among Mon-Khmerspeaking peoples. In the past, at the onset of puberty, young Mang girls were tattooed around their mouths for adornment and to show they had reached maturity. The Mang's diet consists primarily of rice and corn. They also raise pigs and hunt for rabbits, mice, and occasionally small deer. They hunt frequently because they have little food in their village. The local authorities sometimes give aid to Mang families to help them survive. The Mang world is full of evil spirits who must be continually appeased to placate their anger. The Mang believe the universe and the human race were created by Mon Ten, the Creator god. They believe the universe is divided into four strata. The uppermost level is the Mon phinh. The realm of spirits on the earth is Mon lom; under the earth is Mon lo (the realm of demons); and in the water is Mon chang (the realm of dragons). Due to the fact that they are a small and primitive people group who have virtually no contact with the outside world, the Mang in China are unaware of Christianity. They did not even know they had relatives across the mountains in Vietnam, no more than 50 kilometers (31 mi.) away. In addition to the gospel message, the Mang need practical help and assistance in community development to break them out of their dire physical poverty and economic struggle for survival. A handful of Mang families in Vietnam reportedly became Christians in 1999, but it appears these Mang have no contact with the Mang in China. Scripture Prayers for the Mang in China.